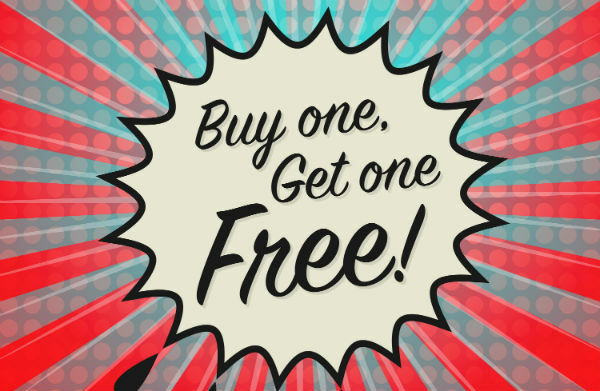 Book One Person Now, Get Another Person FREE and Choose a Date Later! – GOOD FOR 12 MONTHS!! Here’s the deal – no small print and plain English. OFFER EXPIRES 16TH DECEMBER SO BOOK NOW. Quite often these deals come up but you don’t have the time to choose dates, or the offer expires before you can arrange it, so we’ve made it simple. You simply buy a ‘virtual voucher’ that’s good for the whole of 2019. You only pay for one person and you put another person on the first aid course for free. You just need to book before 16th December 2018. There’s plenty of dates available throughout 2019, we guarantee to fit you in but choose early if specific dates are important and it is first come, first served. One person costs £50 but you can have one other on the course for free. We can come to you if you have 6 or more people (£150 minimum) and you are local. If we come to you, we can run a bespoke first aid course, still the same price, still buy one, get one free – but we design the course to suit our business and environment, covering your risks as well as standard first aid topics. Your risks may be severe bleeding or burns etc. It saves time and delegates don’t need to sit through topics that are not relevant. HSE Compliant (Health and Safety Executive). Usually around five hours. Also HSE compliant. 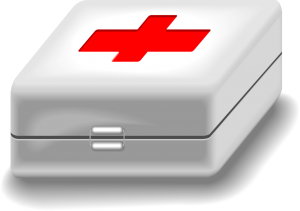 Standard First Aid Training is delivered in a classroom environment for around five hours with comfort breaks and refreshments. Tea, coffee, soft drinks and biscuits are available throughout the course. The First Aid Course is a combination of demonstration, discussion and practical hands-on tasks. We do not use powerpoint presentations or chalk n talk to bore people to death. Scene safety, scene management and the primary survey is the opening module. We will prepare and plan for any danger, elicit a response, check airways, identify if the patient is breathing and decide whether we will deliver CPR. 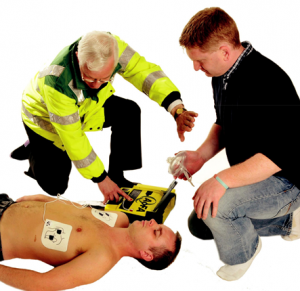 There are a right and proper protocols in delivering CPR and we cover this thoroughly. It may be that in this scenario we discover major bleeding but the patient is not breathing, so we cover priority action. We then embark upon secondary survey, reading vital signs and observations, assessing the condition and gathering essential information to be relayed to the emergency services if necessary. All this is delivered in a very easy to understand format and in plain English. We focus on the following: (alphabetical order). 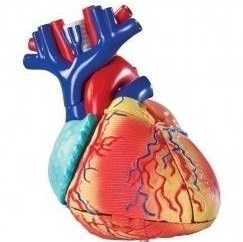 We use medical learning aids to promote easier understanding. 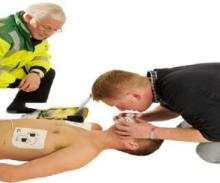 Assessment of the first aid course will be conducted on an ongoing basis throughout the course. Certification is issued to the learner via PDF format within 30 days of successful assessment and is valid for three years. Bring your own food if you wish but biscuits, tea, coffee and soft drinks will be available. Strictly no smoking inside the building. No smoking or vapour inhalators allowed in the classroom. 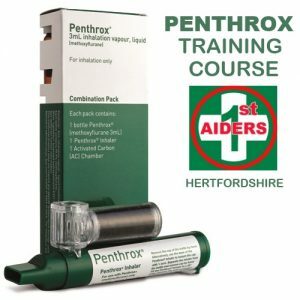 If you have any questions about this course, please send an email to mail@1stAiders.co.uk and ensure you mention the BOGOF First Aid Course offeror call Peter on 01727 825 999. Remember … don’t worry about names and dates, if you have 4 people, just pay for two then relax. We’ll sort out names and dates when it is convenient for you. Bookings must be in BEFORE 16th December 2018 for dates n 2019.